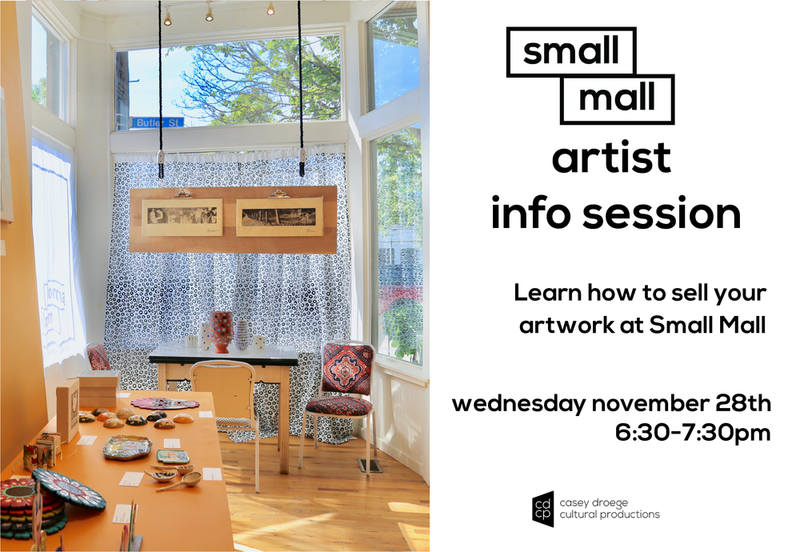 Interested in selling your work at Small Mall? Join us for an info session on how to submit your work. We’ll also discuss our mission, arts economy, and our goal to support local artists and keep spending within the community.